Textile Fabric Yarn - Think & Wonder Inc "A Place Where Creativity Can Grow!" 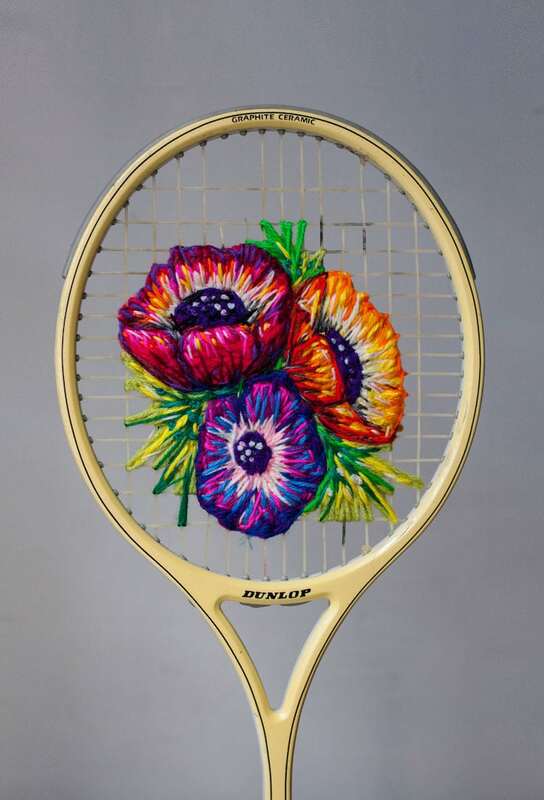 Textile Fabric & Yarn - ​From the clothes we wear to the objects that decorate our home, it's an art that can be simultaneously beautiful and useful. It should come as no surprise that ThinkArt! should transform what is seen as a utility to something that serves and function as an art form, art aesthetic, and an art inspiration. ThinkArt! 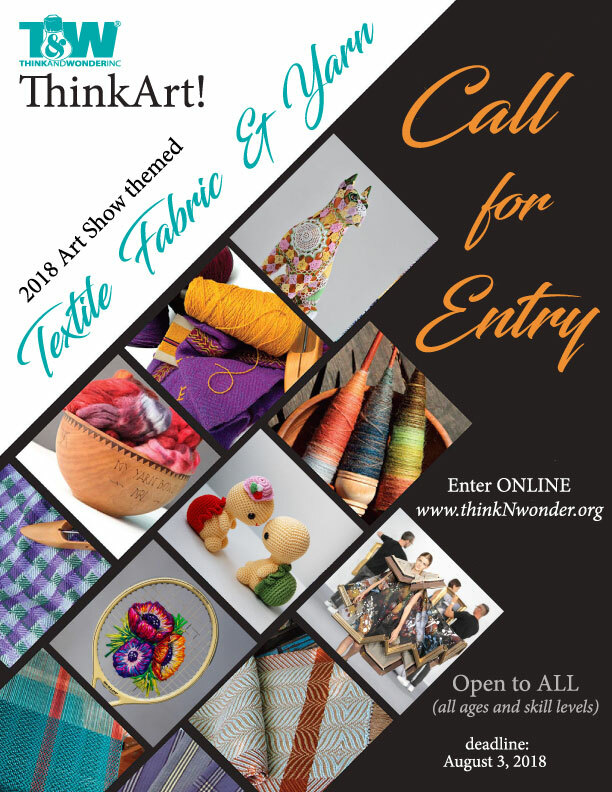 invites our artisans, crafters, and artists of all disciplines to showcase the best of what you can do with the medium and concept, Textile Fabric & Yarn. All works are welcome: weaving, embroidery, knitting & crocheting, amigurumi,quilt, painted clothes, and so much more. Be creative and share with us your creativity! This show is open to all local artists - Nevada Residents ONLY. Show Period: Textile Fabric & Yarn exhibition will be on displayed for two months, from September - October 2018. Show closes on October 26, 2018. DEADLINE: Submission period is June to August. All submissions must be submitted by midnight August 3, 2018. All art forms are accept­able and call for submission is done in dig­i­tally to ensure the artist retains pos­ses­sion of the orig­i­nal until the selection has been deter­mined. When the selection has been announced, the artist must for­feit the orig­i­nal art­work to the ThinkArt! Board so that it may be exhibited for the ben­e­fit of the show/program. All art forms must be ready for display. All wall hang works must be ready for display/showcase. Minimum size requirements (including frame) is 16 x 20 inches for 2-D; Works may not exceed 30 lbs. If the works does not meet the size and weight requirement, ThinkArt! - Think & Wonder, Inc has right of refusal regardless if the works have been juried. List sale price. All works submitted must be available for sale. I, the undersigned, permit ThinkArt! and its parent company, Think & Wonder, Inc. to publish the work submitted by me (the title which is listed in this application) for Art Night! a community art show and corresponding website.